Who says that you have to go to the sea for holiday? Of course I haven’t left out the sea but for a change I also went to Upper Carniola to breath in some fresh air and tire my feet with going hiking or walking on more difficult paths than on pathways. Upper Carniola offers a lot of beautiful things and I visited it over 10 years ago so I was excited and happy to visit it again and refresh my memories. My first stop was Radovljica. This was my first visit of this beautiful city and it went on my list just because it is close to Bled and Bohinj which were my goal destinations. I knew that the town was small and I only looked up where my hostel is before I came to Radovljica. My expectations weren’t high but were exceeded. Radovljica is a charming town with a small city centre which is filled with people drinking coffee in local coffee shops, eating ice creams (the best one is right under the hostel where you can sleep) and playing a game that is similar to Boules. I will tell you later what this game is. First let’s talk about history. Radovljica or Radol’ca (that’s how the locals call it) got its city right in 15th century but was settled in roman times. Today it has around 20000 and lies at the confluence of rivers Sava Dolinka and Sava Bohinjka. The centre of the city is on Linhart Square which got its name after Anton Tomaž Linhart, the author of first Slovenian comedy Županova Micka. Linhart was born in Radovljica, you can see his birth house while walking into the old city centre. The locals I met may tell people that nothing ever happens here in Radovljica but small research on the internet told me otherwise. There is a festival of chocolate every year in April in Radovljica where all the chocolate shops from Slovenia and from other countries gather to promote their chocolate and visitors can try it. Why is the festival in Radovljica? Not far away, in Lesce, there is a chocolate factory Gorenjka, a place where they make their famous hazelnut chocolate which is a favourite for a lot of Slovenes. Radovljica was also one of the hosts of international festival of street theatre Ana Desetnica. In time of my visit the 33rd festival Radovljica started and many concerts were performed in Radovljica’s castle. With these information I can tell the locals that a lot is happening in Radovljica. My first destination in Radovljica was the hostel. I chose Youth Hostel Radovljica where probably the nicest owner of the hostel, miss Vasja welcomed me in a cute apartment suit. My first thought was that I didn’t know that you can sleep in a hostel and enjoy the cheap prices of hostel and still get an apartment to enjoy for yourself. Me and my boyfriend got our own kitchen, big room with TV and a clean bathroom. Besides that miss Vasja was available to us throughout all of our stay and made all our wishes come true. Hostel is better known as Vidič house. Family Vidič is renovating it since this was an old renaissance castle from year 1634. The family opened its own coffee shop and confectionery which is located beneath the hostels and is a perfect destination with great coffee, ice cream and Bled cream cake (on the coffee shop’s garden you can also find a nice cuddly cat and a rabbit). The room was furnished really interesting, they used the furniture that was there before the renovation and renovated it. From the big room I had a view on Linhart Square and on the monument of Josepina Hočevar, who was also born in Radovljica and was a Slovene patron and businesswoman. My path from the hostel lead to a short walk around the city. I realized that the city really is small and that Linhart Square is the main spot for events. Only a street away there is also a great standpoint from which you can see Triglav, the highest Slovenian mountain if you have luck and clear weather (that was the moment when I was happy to take out my camera and take some photographs of this beauty). If you want, you can go hiking right from the city, there are a lot of marked paths but for me, Radovljica was the starting and ending point of my trip. After a whole day of walking I was glad to rest in this city and in this great hostel. But whilst doing it I was wandering around town and found another jewel of Radovljica - a winery Sodček where I was served a great glass of wine and a nice waitress gave me tips about what I must see and visit and convinced me once again that I have to visit Radovljica again and that two days aren’t enough to see everything. From Radovljica I visited the Bled gorge which is one of the most known natural sights and is opened for tourists since 1893 but was renovated many times since then. River Radovna flows through the gorge and it is fascinating to see all the river rapids, waterfalls and little towers that visitors made. The path is extremely beautiful and a fairy tale for photographers. At the end the 13-metre waterfall Šum awaits us (or at the beginning since you can enter from two ways). At the waterfall Šum the brave can swim but I haven’t even put my feet in the river because of the cold air from the river. Bled gorge is definitely one of the attractions that is attracting many tourists and also impresses each and every one of them. The next stop was Bled but only for a small time since I visited it at the peak of the season and everything was crowded. It is also known that the prices aren’t really backpacking friendly but I decided that I won’t leave without Bled cream cake. There are many restaurants at the coast of Lake Bled which offer a view to the Bled Island with the church and 99 stairs or a bell tower. Even our greatest poet France Prešeren wrote about this island. In summer there is also a place where you can jump in the lake and cool yourself and actually not freeze since it’s warmer than for example Lake Bohinj. 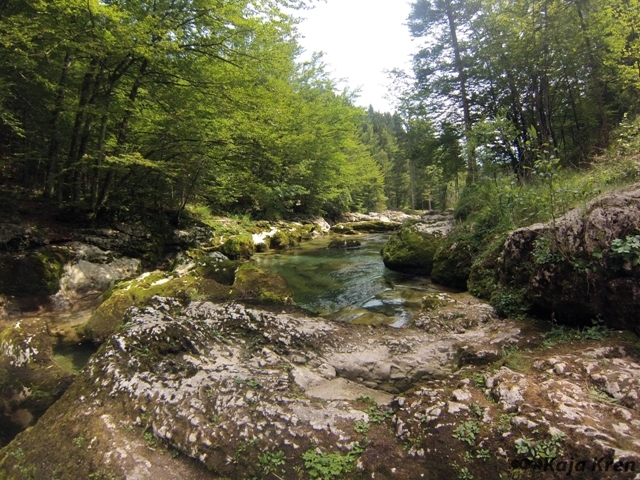 The next day I visited Mostnica river bed that is a little bit further from Radovljica but worth a visit. The path is easy and really picturesque. It runs by a river so we can always go off the path and take time for a picnic or for a photoshoot. We can also refresh our feet in the cold water (of course we can also take a swim in some areas but this is for people who aren’t able to feel the cold) and compete with our friends who will have their feet in the water for longest. We can see swimming fishes in the crystal clear water and admire little waterfalls, whirlpools or a river bed that looks like an elephant. My trip ended with swimming in Lake Bohinj which was nicely warm but if you swam a little further or immersed your feet deep enough, you found out that temperatures in deep water are lower than you might think. 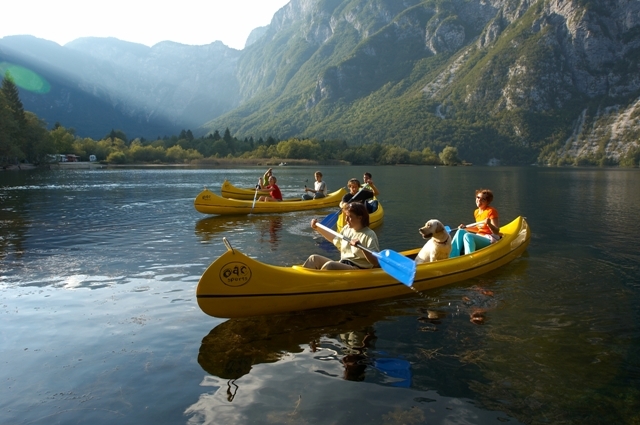 The swimming area is nice, you can also ride with canoes, kayaks or go on rafting on river Sava Bohinjka. If you swear on swimming in the sea, you might change your mind after swimming in Lake Bohinj, the view is majestic from every point. Radovljica is a great starting point for seeing all the sights in Upper Carniola but I was also amazed of how friendly people are. When I was drinking my last coffee and ate my last Bled cream cake I was surprised by another event in Radovljica - prstomet. This is a game with rubber discs which is really similar to Bowles. In Radovljica there was a tournament, Radovljica open (it all sounds so professional and believe me, the players are really skillful). I also bought some gingerbread biscuits from the museum for my boyfriend as it’s traditional in Slovenia to buy these biscuits for their loved ones, they are really beautifully decorated. And all that was left was the bitter-sweet leave since I wanted to be there just a few days longer. 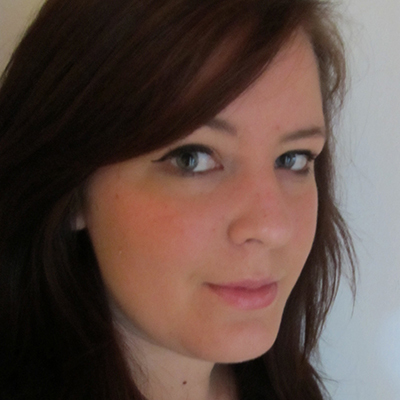 Once again I have to thank miss Vasja and Radovljica Hostel for welcoming me in their hostel, it made our trip better. 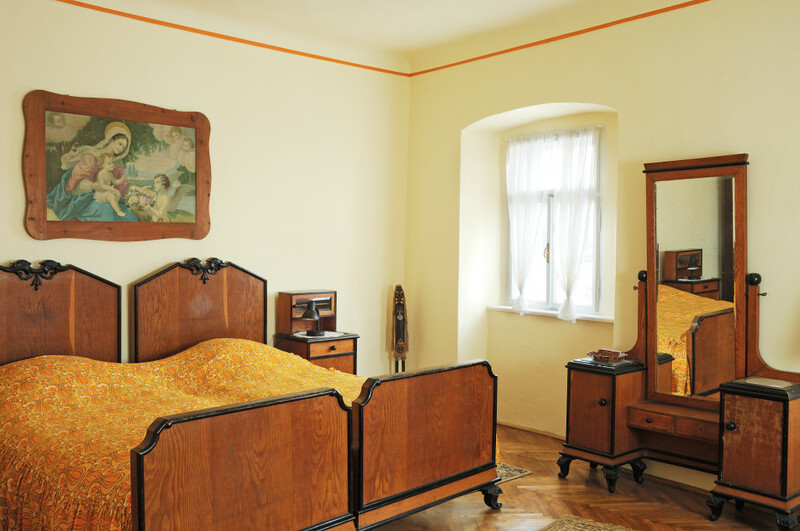 You can read more about Radovljica and reasons why to visit it here.